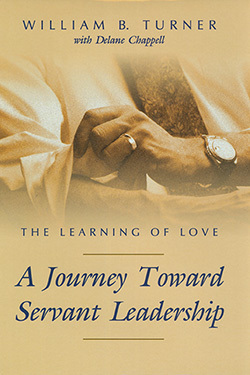 In this highly personal book, William B. Turner and Delane Chappell chronicle Turner's life and the spiritual journey that led him to embrace the concept of servant leadership. The journey began on his eighth birthday when his grandfather, industrialist W. C. Bradley, anointed him the future leader of two large corporations. He resisted the expectations that were set upon him and was led by the examples of his predecessors (grandfather and father) and by God to adopt the principle of servant leadership. William Turner's contribution of servant leadership, which is based on spirit-filled love, is the hope of the future because it leads to God. Fortune magazine named Turner's Synovus Financial Corporation the "Best Company to Work for in America." More important than the accolades he, his associates, and his companies have received however, is the daily evidence of people caring about one another and of people's creativity being unleashed as they explore who they are and what they can do in the workplace. Within these pages you will walk through the tapestry of Turner's journey that threads together family, church, business, and community to create a pattern for living and practicing servant leadership. William B. Turner served as chairman of the Executive Committee of Synovus Financial Corporation, Treasurer of the Bradley-Turner Foundation, Chairman of the Pastoral Institute, and former Chairman of the W.C. Bradley Company. He served on the University of Georgia Board of Regents for nine years, was a Trustee of Emory University, and was a Senior High School Sunday school teacher for over 60 years. He and his wife, Sue Marie, devoted themselves to their beloved community of Columbus, Georgia. Delane Chappell is a Representative of the Business Resource Center of the Pastoral Institute and a freelance writer. She holds a Master's Degree from the University of Alabama and is a former staff writer for the Columbus Ledge-Enquirer. She volunteers with Leadership Columbus Alumni, Columbus Hospice and the American Cancer Society. "As a business executive, committed Christian, and nurturer of families, William Turner has touched the lives of thousands by making Christian servant leadership his life's goal. 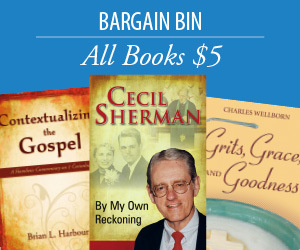 His wisdom and love of God make his story and legacy a great gift for both the business and church communities." This testament in the form of Bill Turner's biography is the story of the spiritual journey of a great business leader who is surely one of God's lieutenants. He has brought and continues to bring the belief that God is love into living practice with his family, his community and his businesses. His creed that no one can be a leader who is afraid to fail has taken him to a new kind of leadership - the servant leader - leading from the bottom up in order to give others the chance to lead and to spread God's love. The simple, straightforward message of Bill Turner's book speaks to the heart of Christ's message of acceptance, love and forgiveness that is so greatly needed in our hurting world. He has written his message with such modesty; it belies the magnitude of the influence and refuge he has been on scores of young people through his teaching ministry. God's power is nowhere more tangible than through the service of His wounded healers. The gift Bill has been given, and has so freely shared is the ability to look past the ugly and the hurting, and see and love the beautiful in each person that is underneath. Bill has been given eyes to see the "butterfly" in young people while they and the world are still seeing the caterpillar. There is no way to measure the transformation power of God's grace that comes from that sort of agape love and friendship, but it is a lasting legacy of a life lived as a true man of God. This is a truly inspired story of a great Georgia family and of the Christian faith of one of its sons...Bill Turner. His story will uplift and instruct all readers including those who seek to build a successful business while giving first priority to Biblical principles and ethics. A truly great book. Bill Turner is the perfect example of integrity. A reading of The Learning of Love shows his integrity is borne of faith that has guided his life. This book is a blue print for all of us who seek to better the lot of our fellowman. Here is a life worth studying, a life worth emulating. Very few human beings have the rare combination of heart, head and soul that is William Bradley Turner. It is even more rare when that someone is able to describe in such a moving way how this combination was formed. It is impossible to read this book without your own life being touched in a positive way. Bill Turner's vision is servant-leadership and he writes from the perspective of a true servant-leader. His book is an intriguing look at a man, his family, his companies, his service, his call and most of all his commitment to Christ. Bill's journey from having to earn love to accepting unconditional love is a story in itself that will speak to all. Most of us struggle daily to balance faith, family, work and community. The Learning of Love is a welcome reminder that these priorities can and should become mutually reinforcing. Bill Turner's book illustrates in words what he has done by example for years - - how to live a full, abundant life through full, abundant use of all of God's gifts in our daily challenges.